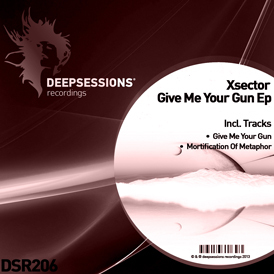 The 207th release on Deepsessions is out this week and it features the debut of D Punxx & Lexx to the label. The Bosnian duo are at the beginning of their production career with just one release on Uranobeat Records thus far but their brand of melodic progressive house is starting to catch on as appearances on Hands Up and Bos Tech records are forthcoming. Their debut on Deepsessions is entitled ‘Velvet Love’ and it comes with two brand new original productions. The title track ‘Velvet Love’ leads the release off with a warm, deep set groove that really packs some punch. As the track builds we see the introduction of some smooth and emotionally satisfying melodic lines. Light, airy pads fill the atmosphere as the track powers forward to the main break. Here a subtle, plucky melody comes to the forefront and teases the senses amidst the windswept backdrop which sounds absolutely gorgeous. The track then charges forward for a smooth, melodic finish which should be rocking on the dance floor. The companion track ‘Magical Evening’ closes the EP out with a big, old school style bass line, spacey synths, soft stabs and some energetic hits. Wavering melodic lines soon get introduced along with some additional atmospheric accents. The breakdown focuses on the big rumbling bass line and soft spacey stabs which create a nice, serene interlude before the beats and drums come crashing back in for a big finish. Two great tracks from D Punxx & Lexx and we look forward to hearing more from them.